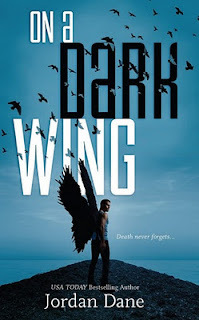 Books I've recently read but would rather write short blurbs for rather than reviews: On a Dark Wing by Jordan Dane, the first three books in The Tiger Saga by Colleen Houck, Switched & Torn by Amanda Hocking, and Harbinger by Sara Wilson Etienne. Now she's the target of Death's ravens and an innocent boy's life is on the line. 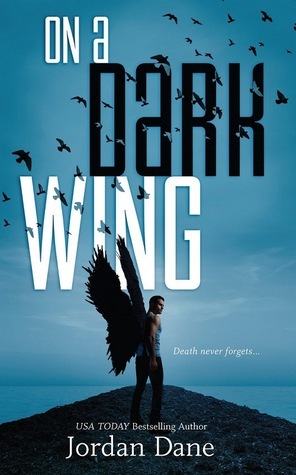 When Nate Holden—Abbey's secret crush—starts to climb Alaska's Denali, the Angel of Death stalks him because ofher. Likes: Abbey, the clean writing. Dislike: Nate's Point of View. I'm not sure his chapters added anything to the story.... But I came into the story, thinking it might be a paranormal romance where Abbey falls in love with Death--I was pleasantly surprised. The book keeps a fast pace, so besides Nate's chapters, it was an entertaining read. The best book of the saga, in my opinion. It takes a little long for Ren to become the man you already know he is, so the beginning's rather slow, but I really appreciated how it wasn't love at first sight. It was slower burning, and Kelsey struggled to let herself be vulnerable (or as Kelsey says, loving the man since she already loved the tiger). And that's a first in the paranormal romance I've read. Plus, I like Kelsey's sarcasm and strength. The first 100 or so pages here were also really slow, because it focused on Kelsey ... living ordinary Kelsey's life. There wasn't much conflict, some tension though (she still longs for Ren)... But this book establishes the love triangle and actually gives the other romantic interest the time of day. Think New Moon but with adventure. 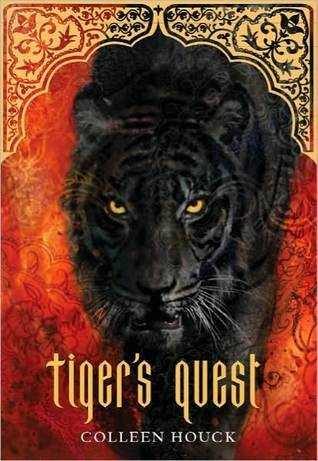 In the third installment of the Tiger series, Kelsey Hayes pushes through the pain of lost love and strengthens her friendship with Kishan. Despite his strong feelings for her, Kishan has agreed to be her ally in helping her reunite with the man she still loves. 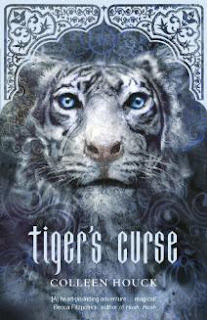 Together, they seek to help Ren regain his memory and begin the search for the third magical gift—an object of power that will help break the curse that causes them to live part of their lives as tigers. They board a luxury yacht and seek Durga's aid once again, who supplies them with her golden weapons. With Nilima, Mr. Kadam, Ren, and Kishan at her side, she soon learns that the task ahead will be even more difficult than the others. Confronting a dark magician, multiple dragons, and terrifying denizens of the deep seems easy when compared to facing the daunting task of stitching up her heart. Just when she thinks she's ready to set her feet on a new path, she is yanked back with a jolt to the one she's determined to leave behind. The jarring tug-of-war that ensues for Kelsey's heart leaves her anxious and confused. Combined with the stress of almost being killed every other day, it would appear that saving the tigers is almost more than she can handle. Still, she presses on, knowing that a choice is looming on the horizon. One she cannot put off making for long. 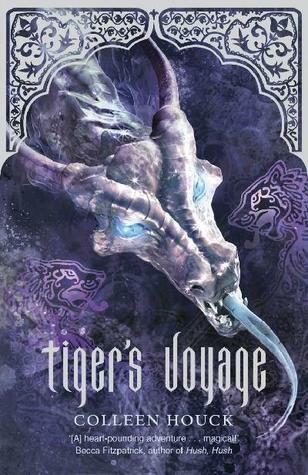 Tiger's Voyage is an irresistible romance with a barrage of action on the high seas, where a reader will find a treasure chest full of dragons, sea monsters, knights in shining armor, fabled weapons, and enduring love. The tropic waters of India create the backdrop for the latest installment in the tiger series. This novel, a multicultural take on the classic Beauty and the Beast tale, delves into the complex emotional turmoil and pressure associated with not only making the best choice for a nation but also the best choice for yourself. If you like the love triangle in The Vampire Diaries, you'll probably like it here. I wasn't much a fan of some of Kelsey's choices (see paragraph 2 of the summary), but Colleen Houck has set up an explosive ending for the last two books, and the Tiger's Saga has the same addictive quality that Twilight had when I first read it (and the writing could still be improved). I'm conflicted as to how I feel about this book. The Trylle Trilogy seems to have the least narrative of any series I've read. On one hand, that means that there's more room for the plot, and it makes the book go faster. But I actually like narrative. It gives me a sense of the character... and that's mostly what I think was lacking. I feel so detached from Wendy. I like the world-building, the other characters, the clean writing, fast pacing.... but I'm not Team Wendy yet. When Wendy Everly first discovers the truth about herself--that she's a changeling switched at birth--she knows her life will never be the same. Now she's about to learn that there's more to the story... She shares a closer connection to her Vittra rivals than she ever imagined--and they'll stop at nothing to lure her to their side. 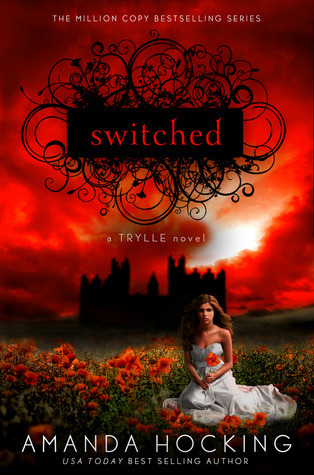 With the threat of war looming, her only hope of saving the Trylle is to marry a powerful royal. But that means walking away from Finn, her handsome bodyguard who's strictly off limits...and Loki, a Vittra prince with whom she shares a growing attraction. Torn between her heart and her people, between love and duty, Wendy must decide her fate. If she makes the wrong choice, she could lose everything, and everybody, she's ever wanted...in both worlds. This book worked for me less than Switched. I'm still not Team Wendy. Sometimes I felt for her when she and Finn argued, but then sometimes I felt for Finn, because Wendy was being difficult. I liked that the book expanded on the world-building and the characters backgrounds without losing its face pacing. And the love triangle isn't bad--Hocking doesn't kill us with it like some others do... I especially liked the short story at the back of this novel. The one at the end of Switched was entertaining, but the one at the end of Torn made me feel for/understand the characters. A rich and tautly told psychological thriller, Harbinger heralds the arrival of an exciting new voice in young adult fiction. 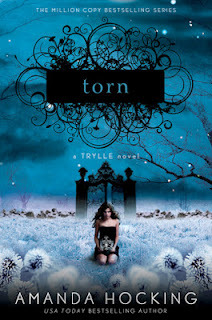 This book had one of the best book trailers I had ever seen. And the writing was terrific--the book was really dark and disturbing and a true psychological thriller... until the climax. That made me pause and go, WTF. I didn't want to finish the book anymore. 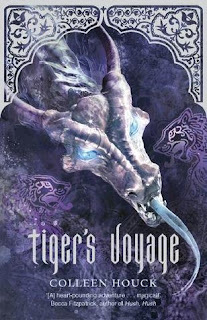 It had taken such a strange turn that I was having a hard time even making myself read... which was kind of disappointing, but I loved the writing and will probably check out Sara Wilson Etienne's other work. Have any of you read these books? Share or disagree with my opinion of them?